If you love dogs, or have a touching story about a dog, consider submitting it to the new Rocket Science Productions, LLC, dog book project. 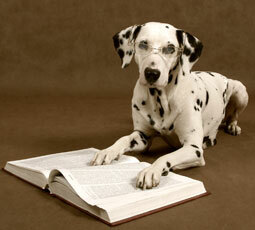 Whether you’re a professional writer or can barely put together a sentence, we want to hear your true dog stories! Is your dog a total clown? Have a funny story to share? Or, is your dog a hero? Have they saved your life, changed your life, helped you through a hard time? RSP wants to hear it all – the good, the bad, the ugly; the heartwarming and the downright hiliarious! No matter how long or short, please consider sharing your “tail” with the world in this upcoming collection of dog stories. Become a published author – at no cost to you! For information please email pghmediabutterfly@gmail.com ASAP! The deadline for this project has been submitted and we will allow submissions if you wish to contribute. Learn more by “liking” the True Dog Stories Facebook page. Next Next post: Bookmark It!